The AFL confirmed in 2016 that it had tightened membership regulations and to be counted as a member an individual must have a name, contact details, have contributed $50 to the club and received a membership pack. The official counts also include multiple memberships held by an individual. Pet memberships are not counted but the AFL confirmed babies and toddlers are included. For the first time, the official membership figures include juniors who registered – and paid $75 – to be in the national Auskick program that has more than 200,000 participants (of which 84,000 have been counted in club membership figures this year). The Crows’ figure this season includes 6,500 registered Auskickers – and 72 per cent of the Adelaide Oval stadium membership pool (5,748). 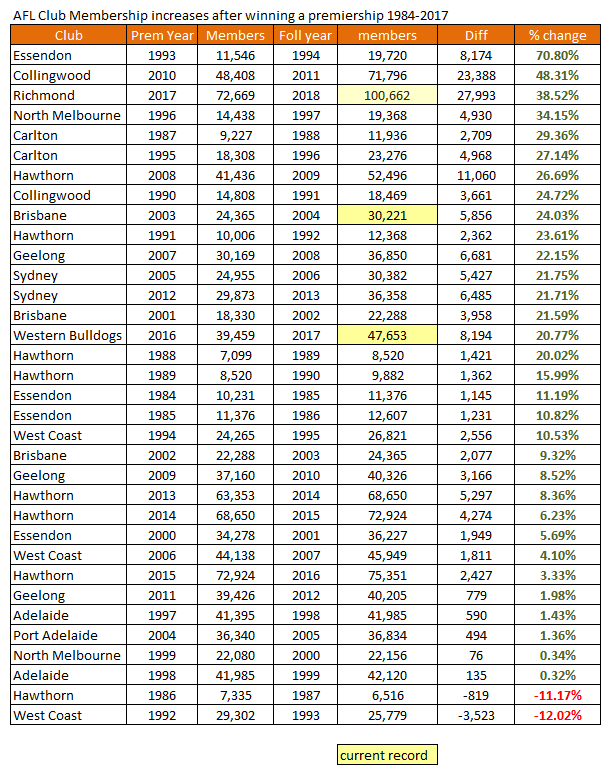 Port Adelaide’s member retention was ranked second behind only 2017 premier Richmond at 93% in the critical 11-game season ticketed member categories, highlighting the loyalty and commitment of the club’s members. GWS put out a detailed graphic about a week before the audit.